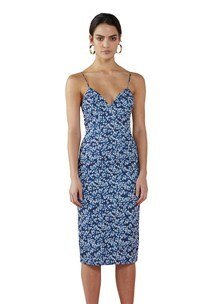 Effortless and feminine, this BY JOHNNY bias cut midi dress is both flattering and bold in nature. 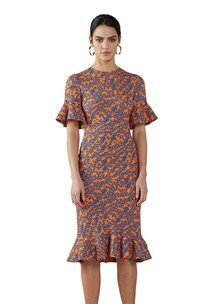 Sitting high and round in the neck with bonded frill sleeves and flared frill hemline. 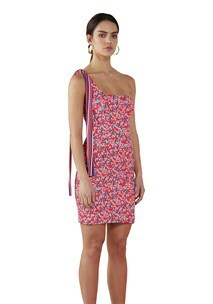 The Mango Blooms Frill Tee Dress is made from a bubble crepe fabric and is lined for added comfort. This staple garment is pull over in design and has a centre back button closure.